Atmosphere is chill and relax. It’s close by everything, Walmart,beach, center, bus stations. 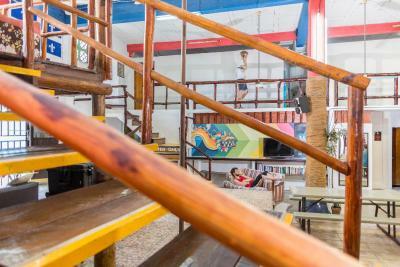 Hostel has quite a few spacious common area to chill and a nice rooftop. Kitchen is well equipped and drinking water is provided too. 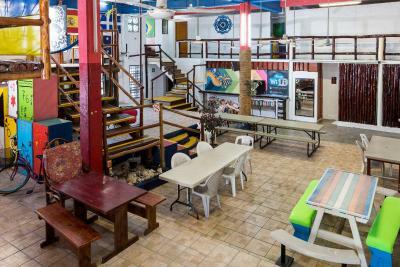 Loved this hostel. 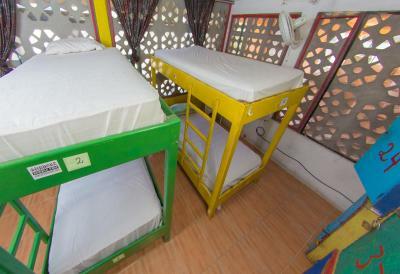 We had a bit of a problem with our flight and had to cancel 2 out of the 4 beds we had booked. When we finally arrived 2 days later at midnight the staff were so accommodating even though we had cancelled our booking. They organised a room for us to sleep there and then, it was fantastic. 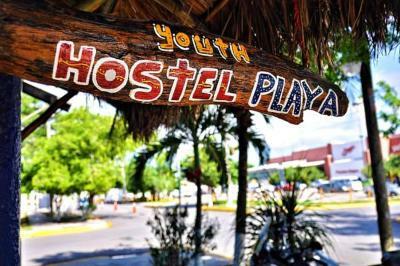 If you want to stay somewhere where the staff are friendly and understanding, there's great vibes and you're close to everything in Playa then choose Hostel Playa! It's a cool relaxing place with great atmosphere. It's great for backpackers,but also for holiday guests. Wifi works great,kitchen is good,lots of fans everywhere,which is needed :) Five minutes walk from the beach and the main street. 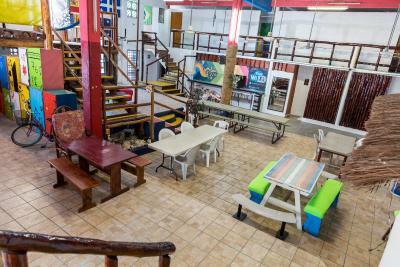 It has a great location, everything is near, the beach, the 5th Avenue, bars, places to visit, etc... the hostel has something that make you feel comfortable, I’m not pretty sure if it is the staff, the facilities, the refreshing pool, the others guests, or probably are all these benefits putting together that create the excellent vibe of the place. 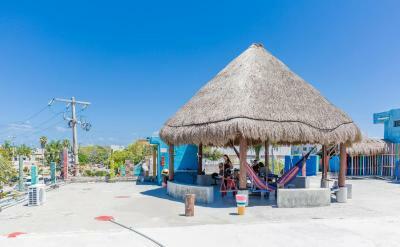 There’s not doubt I will stay here in my next trip to Playa del Carmen. Great experience!! 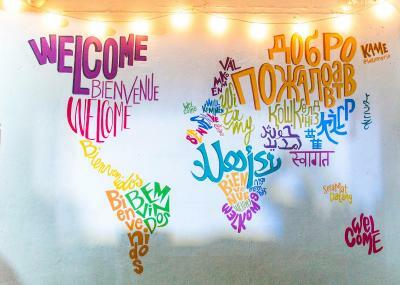 Such good vibes at the Hostel! Super friendly staff! Especially Cynthia at the reception, she's been super helpful. The rooftop, a nice place to chill; and the location. And the "only girls area"
Smiling receptionist welcomed us almost at midnight. Owner was nice too and let us stay with car at his parkplace for two nights. Besides tip we gave we send many thanks to him. 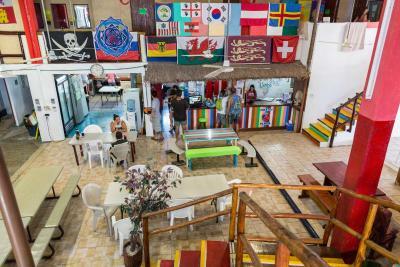 Hostel Playa by The Spot This rating is a reflection of how the property compares to the industry standard when it comes to price, facilities and services available. It's based on a self-evaluation by the property. Use this rating to help choose your stay! 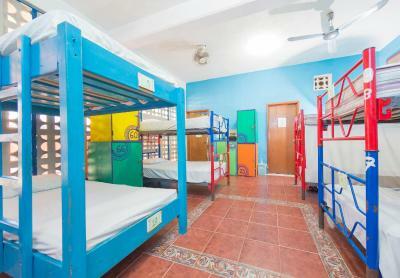 Located in Playa del Carmen within an 11-minute walk of ADO International Bus Station and 0.9 miles of Playa del Carmen Maritime Terminal, Hostel Playa by The Spot provides rooms with free WiFi. 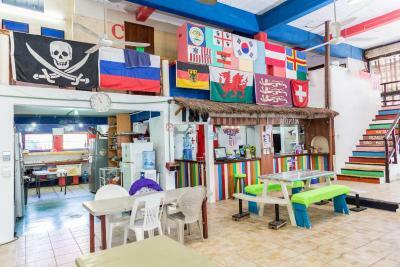 Featuring a seasonal outdoor swimming pool, the hostel is close to several noted attractions, around an 18-minute walk from Disabled-friendly beach and around one mile from Kool Beach Club. 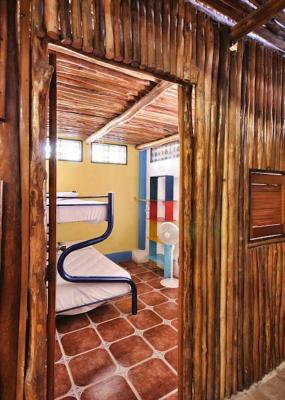 The property offers car rental and features a garden and grill. 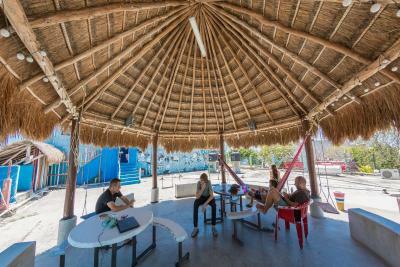 Hostel Playa by The Spot has a terrace. 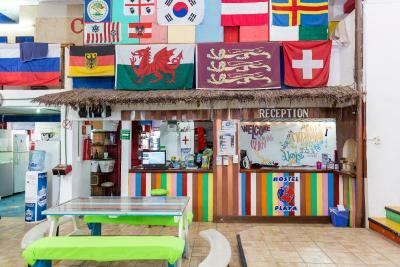 You can play ping pong and darts at the 3-star hostel. Guests can make sightseeing and ticketing arrangements at the tour desk, or conduct business at the business center. Staff at the reception can provide assistance around the clock with guidance on the area. Church of Guadalupe is 1.8 miles from the accommodation. 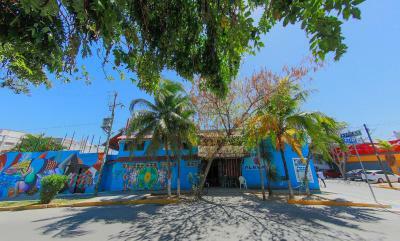 The nearest airport is Cozumel Airport, 20 miles from Hostel Playa by The Spot. 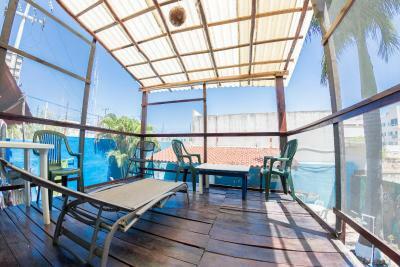 뀐 Located in the real heart of Playa del Carmen, this property has an excellent location score of 8.7! 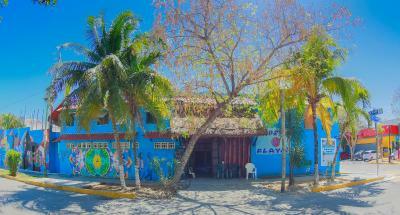 When would you like to stay at Hostel Playa by The Spot? 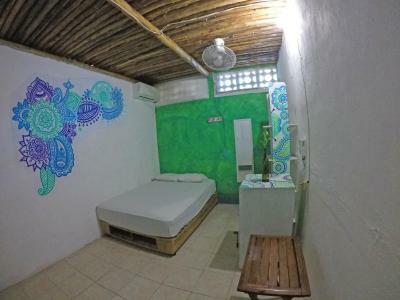 Private Double Room with Air Conditioning - Shared Bathroom. 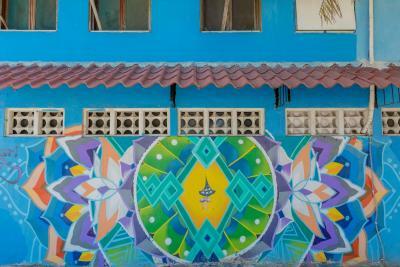 House Rules Hostel Playa by The Spot takes special requests – add in the next step! 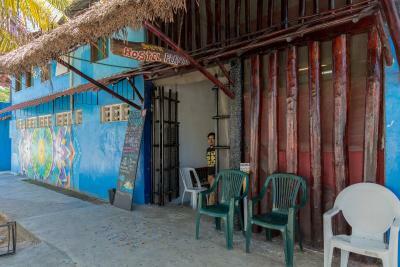 Hostel Playa by The Spot accepts these cards and reserves the right to temporarily hold an amount prior to arrival. 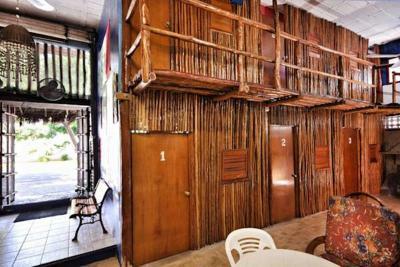 The private room is only slightly private - its essentially a room that looks out onto the main area with bamboo and netting dividing you. The windows had no shutters and could not be opened or closed. However if youre here for the hostel experience, its ok.
Quite noisy, you hear everything from the street. Our door lock was not working, so we could not leave room together - no big deal as we stayed only one night. Breakfast is really simple - bread, chocolate jam and banana. The upstairs toilets do not lock, and the two out of three showers had no running water, but the bathrooms downstairs are nice to use. 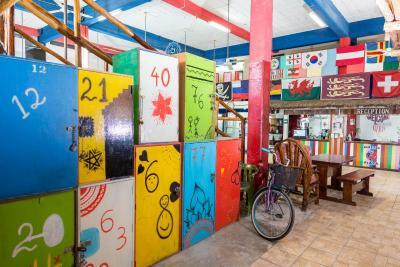 The hostel has a lot of character. The private rooms are spacious, the room we stayed in was close to the balcony so we did experience a lot of mosquitoes. The kitchen is huge and has a lot of equipment to use. The staff are nice and friendly. Not very quite. You could here people on the roof shouting. There was little privacy. No curtains on the beds or anything. The breakfast could barely be considered breakfast. It was just a banana and toast. Very good location of the hostel. 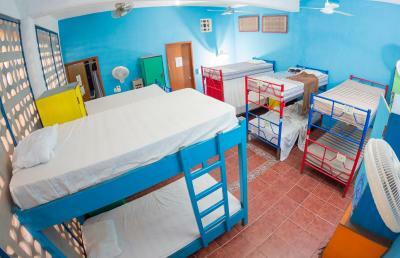 Nice and friendly staff, clean rooms. Noisy. Walking in rate was lower than on Booking. Though I prepaid, I had to pay again. No available locker in the room. Stuff very helpful,room was okay, AC, fan, nice space downstairs, WiFi working very well, bathroom was okay. I liked totally separated space for men and women, I felt comfortable. I liked the women’s dorm and the storage for my trike.